FPC serves Dyersburg through various Ministry Teams both on Sunday mornings and throughout the week. If you consider FPC your home, please consider serving on one of the following teams if you’re not currently serving, or if you have some extra time to serve on an additional team. You can go HERE for a quick sign up OR contact any of the leaders listed below. We encourage parents to include their children of all ages in worship. For those families who choose to use our nursery so that they may more fully participate in worship and other church-sponsored activities, we commit to provide a safe, enjoyable, and Christ-centered environment for their children. As followers of Jesus, we are compelled by the Good News of the Gospel to love families in our community by easing the challenge of worshiping with babies and small children (up to kindergarten). To give young moms and dads that brief time to focus on worshiping God without the distraction of little ones can be a real blessing to their hearts, minds, and souls. To that end, we are looking for people who will keep watch over these little ones who are precious to our Savior and to their parents. Typically nursery volunteers serve once every seven-eight weeks. 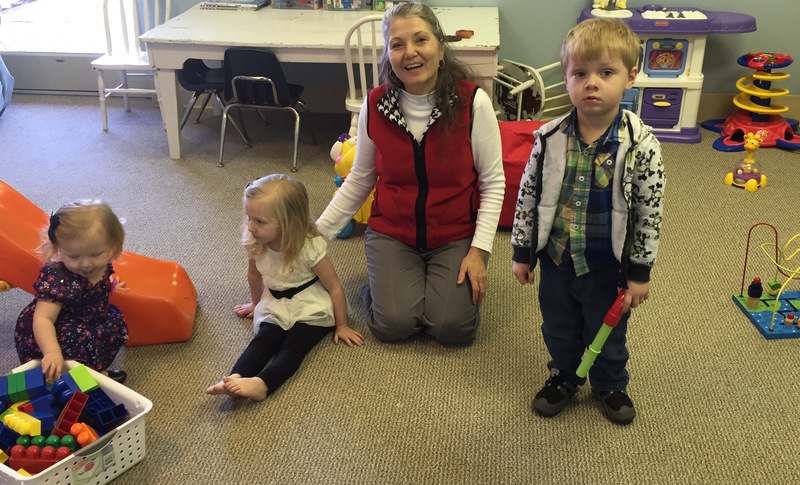 In addition to toys, colors, and books, during that time, there is an audio sound feed from the sanctuary, so those in the nursery can hear the singing, prayers, and sermon, which is a great time to begin preparing older children for worship. Jesus said, “Let the little children come to Me, and do not hinder them, for to such belong the Kingdom of God.” Matthew 19:14. We consider it a real privilege to introduce children to Him, and Sunday school is a wonderful opportunity. During that time, there is often music and play, a lesson, and coloring or activity sheets with engaging discussions. We use the Show Me Jesus curriculum. 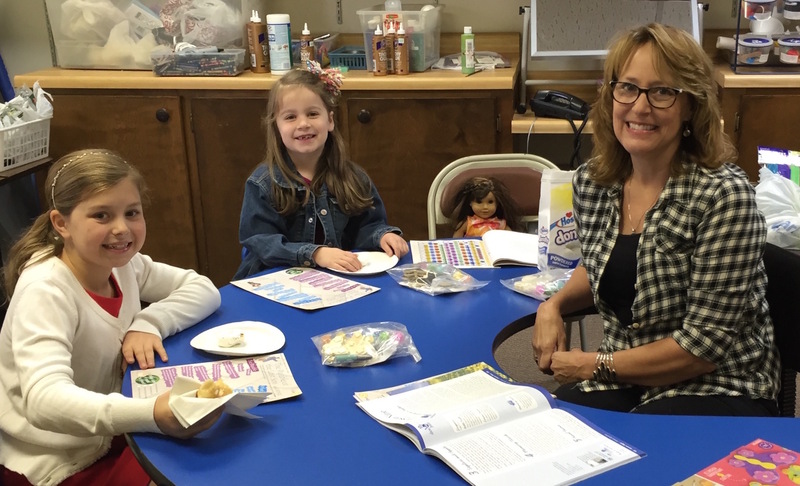 Sunday school is divided into four quarters, which allows teachers to alternate between teaching Sunday school and attending Sunday school. If you enjoy children, perhaps God is calling you to serve in this capacity. One of the highlights every year is the Advent Workshop where we set up craft tables like cookie decorating and making different Christmas ornaments, complete with a pizza party and a reading of the Christmas story. Children from our church, school and community enjoy the fun. If you would be interested in helping with this event and other festivities like Family Fun Nights, Family Camp, etc. Because we believe in the edification of the church in worship, we amplify sounds with clarity to enable congregational participation in worship, and we record the sermons to make them available on our website. We are looking for team members to run sound once every 5-6 weeks. We provide full training! FPC believes that all of life should be worship. Part of that call is to worship together corporately in order to bring honor and glory to the only One worthy of ultimate glory and honor. The music ministry does that in one form, using musical gifts to unite the body in singing and praise. We recognize that not all musical gifts necessarily lend themselves to a church choir. The Prayer Ministry team is dedicated to making intercession for FPC. We pray for requests placed in the offering plates, online, and pray collectively at three times during the week: Women Monday Mornings, Wednesday Evenings, and Men’s Friday Mornings. If you have a heart for prayer, please join us! Weekly Prayer Guide. We exist to facilitate opportunities for women to grow in intimacy with Christ and in fellowship with one another for the purpose of encouragement and spiritual maturity. We do this by gathering together to learn, support and grow, most often through book studies, an annual retreat, and other communications and events. We meet in Miriam Hamer’s home, the second Monday each month, at 6:30, for fellowship, Bible study, and to do any planning we need to do. We did not invent the very clever name for our women’s ministry: Women in the Church, or WIC for short! It’s the name used by women’s ministries in churches throughout the PCA! Before church on Sunday morning: Slicing cakes and pies and putting on dessert plates and setting out on dessert table, making sure ovens are on to keep foods warm. God has gifted some to be mechanically or electronically minded. Others are particularly good with flowers and greenery. Both Joseph and Jesus were carpenters. We want to be good stewards of the gifts God has given us. When we care for the facility and maintain the building and the grounds to glorify Him, we make it an act of worship. If you are interested in helping with landscape and flowers, contact Dale and Sharon Milner: 731-285-5248, 731-431-6555.